I have long been a fan of Jenny Oliver’s books – my husband even bid at a charity auction for my name to be a character in one! They are escapist, funny and easy to read. 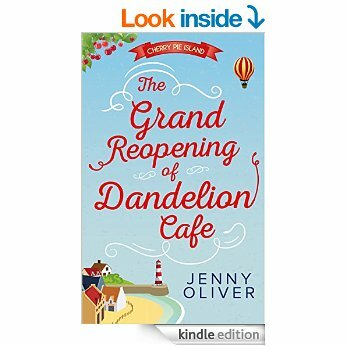 Jenny had tweeted that her new book was available on Netgalley (To quote their home page “We help readers of influence discover and recommend new books to their audiences. If you are a librarian, bookseller, educator, reviewer, blogger or in the media, get started right now by signing in or joining for free.”) I decided to sign up, given I review so many books on my blog now, and thankfully I was accepted and so could download a preview copy for free straight to my kindle. For Ava Brown, the backdrop to all her sun-drenched memories – from her first taste of chocolate-dipped churros to her very first kiss – is her grandmother’s Summerhouse in the sleepy Spanish seaside town of Mariposa. The book starts with a bit about Whatsapp – and I think it’s the first book I’ve read which even mentions it – so you can see it’s totally up to date with it’s references, which I love! Whatsapp / Twitter / Instagram / Facebook feature throughout the book – just as they do throughout most people’s lives – and I really liked that. The descriptions of Spain are wonderful – and made me want to hop on a plane pretty smartish – and the food descriptions, as ever in all Jenny’s books, are fabulous. You can almost taste the food. Ava is a central character that you’re rooting for – and the dynamic of her relationships with family (present and absent), older people in the village and romance-wise are all beautifully explored. I liked the multi-generational aspect of the book a lot. It was a perfect, easy, escapist read – that would only have been better if I’d been reading it on the beach! 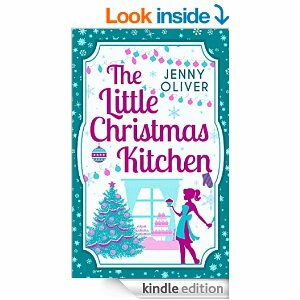 I have to say this is my favourite Jenny Oliver book now and had me proper sobbing at the end. I would love to know what happens to all of the characters in the future – so fingers firmly crossed for a sequel??? I was trying to work out which category in my Reading Challenge I could fit this into! 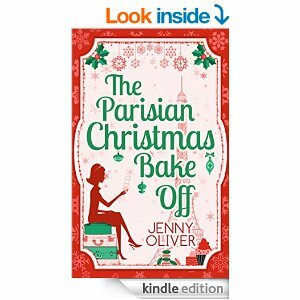 Firstly I thought maybe ‘A book by an author who uses a pseudonym’ as I though Oliver wasn’t Jenny’s real surname (I checked with one of her best friends, and I was right!!) but then also it could be ‘A book with one of the four seasons in the title’ – but that’s questionable. Even in the book it is discussed whether it’s summer house or summerhouse! The layout of the front cover would suggest the former, but the content the latter – so who knows. It can be one of those books that would fit a couple of categories, and I can move it during the year dependent on what else I read!! 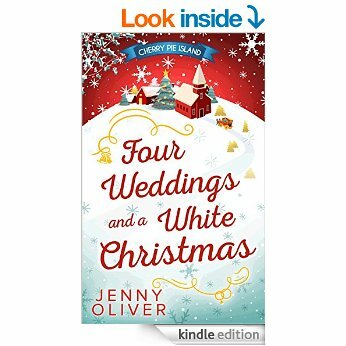 I had forgotten that I’d pre-ordered ‘Four Weddings and a White Christmas’ upon finishing the previous in the series of Cherry Pie Island books ‘One Summer Night at the Ritz’ – so it was a very welcome surprise when it popped up on my Kindle last week – and perfect timing, as the husband and I were away for a childfree break. Although it did feel a bit strange reading about snowy festive scenes whilst lying on a sun lounger in 40 degree heat! “Hannah’s holidays are normally spent nibbling chocolate coins with her daughter and praying she’s not too old for a stocking on Christmas morning. But this year, she’s been offered the dressmaker’s job of a lifetime: creating a one-of-a-kind a gown for her friend Annie’s Christmas wedding on the picture-perfect Cherry Pie Island. I don’t recall having met Hannah before in any of the Cherry Pie books (but am happy to stand corrected if that’s not the case?!) but she was a lovely new character, and the whole book centred around her – both her personal and professional lives as a dressmaker and single Mum. It draws in the characters from the previous books like you’re catching up with old friends – although would work as a standalone book too, but might be a bit confusing if you don’t already know all of the people, as there are A LOT of people involved. The book follows Hannah through her dress commissions and the very different weddings they are for. 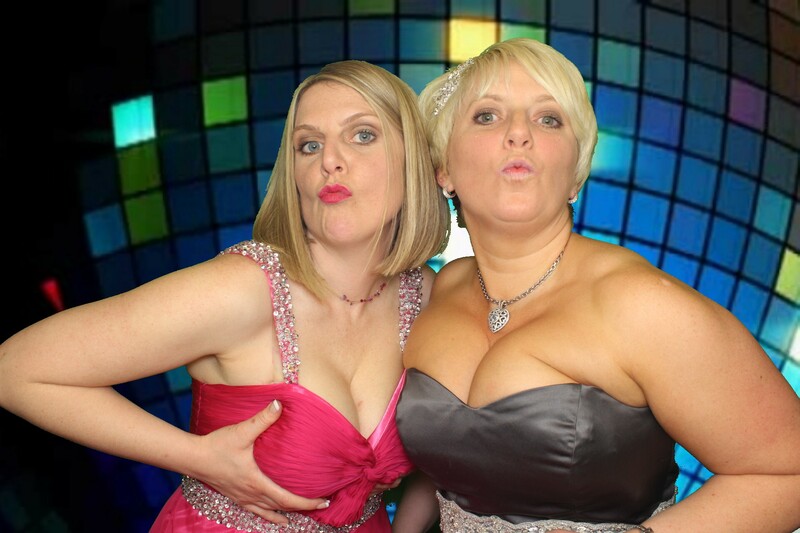 As well as being on Cherry Pie Island – there are also brief jaunts to France and to New York – which are always fun. I really liked Hannah’s feisty daughter – reminded me of little girls in this house! 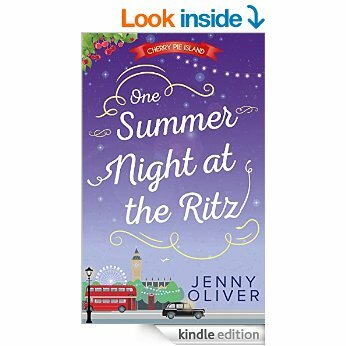 “One Summer Night at the Ritz is the enchanting fourth story in Jenny Oliver’s delicious Cherry Pie Island series. For Jane Williams, balmy August evenings are usually spent swimming in the river or lounging on her house boat on Cherry Pie Island. But, this summer, a set of tragic wartime diaries has changed all that. I have just devoured the 4th in the Cherry Pie Island series in one afternoon! I have loved the previous books in this series, and this one was no different. It’s a stand alone book – but with clever nods to the previous books throughout – and the scenes being set for the next. I’ve never stayed at The Ritz – although have had breakfast there – and the book really gives the feel of the old fashioned glamour of it – and describes London beautifully. Jane is a lovely character – and you’re rooting for her throughout the book. She also makes me feel less bad about my falling apart Birkenstocks! I enjoyed the fact the story takes you off Cherry Pie island – but brings you back to familiar ground as well. As always, a lovely, funny, feel-good, escapist, easy read. On a geeky, pedant level (both being my forte!) there is a grammar error in the first few paragraphs (story where it should be storey, as we’re in England not America) and about six times during the book there are typos, where an additional letter features in front of a word where it shouldn’t. I know this doesn’t affect the story overall – but it does grate with me. I’m slightly gutted we have to wait until October for the next instalment – although as that’s going to feature Christmas weddings, I guess it’s closer to the festive season. But for now – why don’t you catch up on the beginnings of the Cherry Pie series? I have been a big fan of Jenny Oliver’s previous books – and so was excited that she was publishing more – and this time a whole series based on fictional Cherry Pie Island! I have always loved her characters and so have wanted to know what happens after the book finishes (unlike Gone Girl where I didn’t give a toss about any of them!) – and so thought a series would be excellent. I REALLY enjoyed it. It’s a light, easy read – but funny, warm and you really care about the characters. As with her other books there are excellent points of reference that really ring true (this time my favourite being a white Dolcis shoe box in a drawstring black Dolcis bag!!). 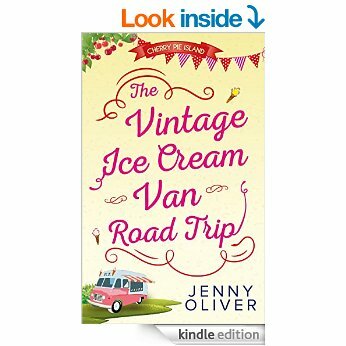 As with Jenny’s previous books, her descriptions of food are amazing – you can almost taste the cherry pie and its accompaniments! Annie’s relationships with her family are complex – but you are always in Annie’s corner. And as I expected – I do want to know what happens to Annie next! I had read the blurb for book 2 before reading book 1 (book 2 should be winging its way to my Kindle today – yay!) and so could see the seeds being sown for the characters that feature in that. I am also hoping we continue to keep in touch with the characters from book 1 – but I will report back on that later! This is not high brow, prize winning fiction (but hey, we don’t want to read The Goldfinch every day – in fact, most normal people don’t want to read The Goldfinch ever!!) – but it’s fun, escapist reading – which sometimes is just what is called for. I look forward to reading the rest of the books in the series as they are published. 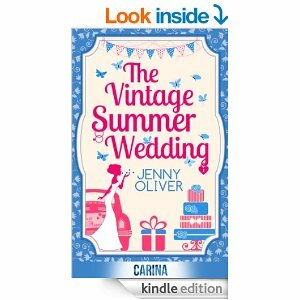 I’ve read Jenny’s other books and really enjoyed them both (The Little Christmas Kitchen and The Vintage Summer Wedding) so expected to enjoy reading this – and it was another bargain download at less than £2. “Welcome to the most celebrated patisserie competition in Paris – ready, steady, bake! I am possibly one of the few people in the entire country not to watch The Great British Bake Off – but I didn’t let that put me off – and I’m glad I didn’t. It was a lovely read – and the descriptions of the food were amazing. I’m just glad I read it before my January detox as I would have been drooling even more! I read it over Christmas – which was very apt – but not essential! So here is the second one from her back catalogue (although I now realise this is a sequel to her first and I’ve read them in totally the wrong order – but never mind!) – and this time I steered away from festive Christmas fare with The Vintage Summer Wedding. But back to The Vintage Summer Wedding! It’s a lovely, easy, quick read which I really enjoyed. Now I need to read the book before (and I’m guessing which characters it involves already). Here’s hoping to more in the Nettleton saga going forward.